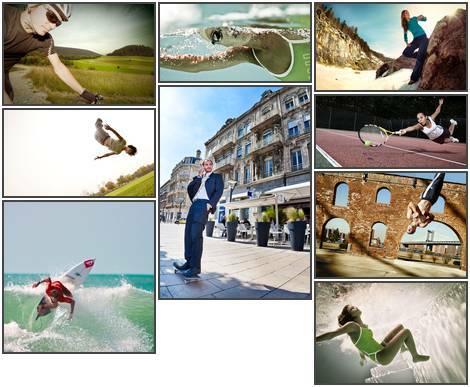 To create a storyboard you must first select the images that you wish to include. 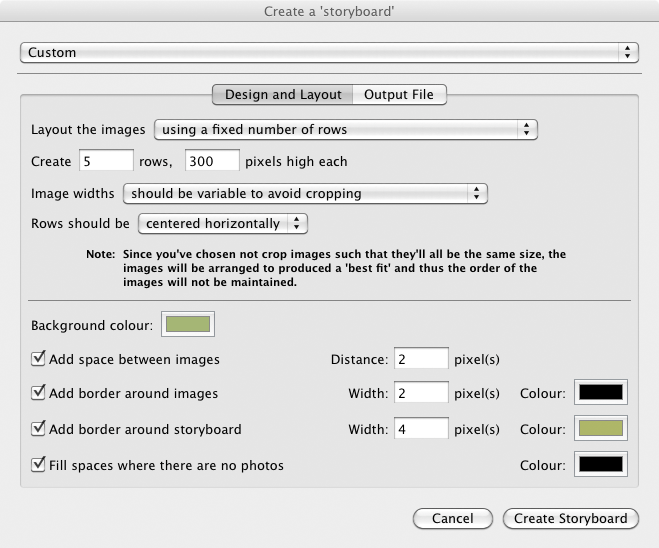 Then choose Create a Storyboard... from the Plugin Extras sub menu of the File menu. The dialog is divided into two tabs, one for the design and layout options, the other for the output file options. The individual images may either be laid out such that all the columns have the same width, or all the rows have the same height. There are various layout options. You may either choose to create a fixed width or height storyboard, choose the number or rows or columns, or else let Storyboarder create a square-ish layout. This tab gives you control over the location and format and filename of your storyboard. 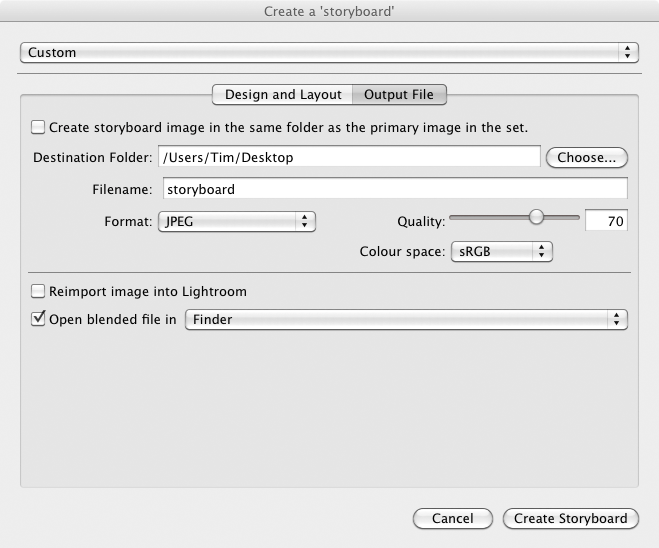 You can also choose what to do with the storyboard image, and whether or not to reimport it into Lighroom.